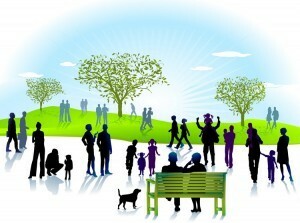 The Village wants to hear from you…what would you like to see in Estero’s Parks & Recreation Plan? Home/News, Parks & Rec Master Plan/The Village wants to hear from you…what would you like to see in Estero’s Parks & Recreation Plan? The Village of Estero is starting its first Parks and Recreation Master Plan. This Plan will outline the Village’s long-range vision for Parks and Recreation intended to meet residents’ needs. Public input is a critical component of this master plan. Please join us at 5:30 p.m., Monday, January 14, at Estero Community Park Recreation Center, 9200 Corkscrew Palms Blvd., to provide your input. The meeting will begin with a brief overview presentation, followed by an open house where residents may indicate their priorities regarding parks, recreation facilities and recreation programs. Please join us…it is important that we receive input from as many residents as possible. *Under Florida law, e-mail addresses are public records. If you do not want your e-mail address released in response to a public records request, do not send electronic mail to this entity. Instead, contact this office by phone or in writing. The Village of Estero is currently in the process of ensuring all online content is in formats accessible to optical character readers (OCR) and screen readers. Until that process is completed, some previously available documents are not available online. If you have problems accessing any web content, please contact the Village Clerk at 239-319-2808 or hall@estero-fl.gov.